With great conceit, we set up ourselves as the foremost market competitor offering an unmatched Continuous Coiling Device (Dead Coiler). This product provides an option that it can unload the drawn wire from the continuous system wire drawing system without stopping the machine. Moreover, offered product is available with 20 HP and available at industry leading prices. 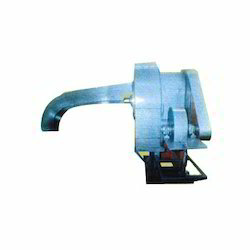 As per the needs and requirements of our clients, we are involved in providing Semi Auto Coiling Machine. Construction: Mostly fabricated with plates & sections , segments are of graded cast steel accurately matched with wedges, with gripping facility for under / over winding , main shaft is of alloy steel and all Components are accurately machined & assembled . Fully Automatic Ring Forming and Cutting machine for mass production of wire rings from dia 65 mm to 900 mm. Wire dia range from 2 mm to 6 mm. The diameter can be programmed on the NC controller which has an encoder feedback. The machine is capable of batch production to reduce excess production. • Good for testing laminated and coil springs. • Various models: Max. load capacity from 6 to 500 kN. • Loading accuracy well within ± 1 %. Increasing the radius in turnouts (to minimise jerks and enhance passenger comfort) requires longer switch lengths. However, rails are not rigid in the longitudinal direction and hence do not provide required clearance even after reasonable opening at toe. Embroidery Coiling Machine has the capability of designing attracting embroideries with numerous colors at a time. Embroidery can be done at very high speed with quality work. 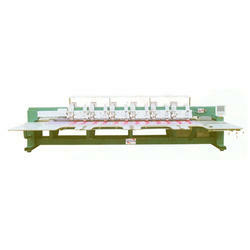 Embroidery Coiling Machine helps you to make your designing look highly developed and radiant.